WASHINGTON -- The U.S. government is barring passengers on all flights from eight Middle East and North African countries from bringing laptops, iPads, cameras and other electronics in carry-on luggage on U.S.-bound flights starting Tuesday, a U.S. official tells CBS News. The prohibitions on electronics from select countries on flights to the U.S. is based on information developed overseas about a threat, an official told CBS News. The official said the electronics ban isn’t related to a specific threat, but is in response to intelligence gathered overseas. The officials said the Department of Homeland Security is in the process of notifying the countries and airlines affected by the ban on large electronics. They will have 96 hours to implement the ban. Royal Jordanian Airlines posted a tweet Monday that was later deleted advising passengers of the impending ban, which excludes cellphones and medical devices. Everything else, the airline said, would need to be packed in checked luggage. Mark Rosenker, former NTSB chairman and CBS News transportation expert, says that the airline “clearly has the right to communicate to its passengers” when travel bans are put into effect. David Lapan, a spokesman for Homeland Security Department, declined to comment. “We have no comment on potential security precautions, but will provide any update as appropriate,” Lapan said in an email. 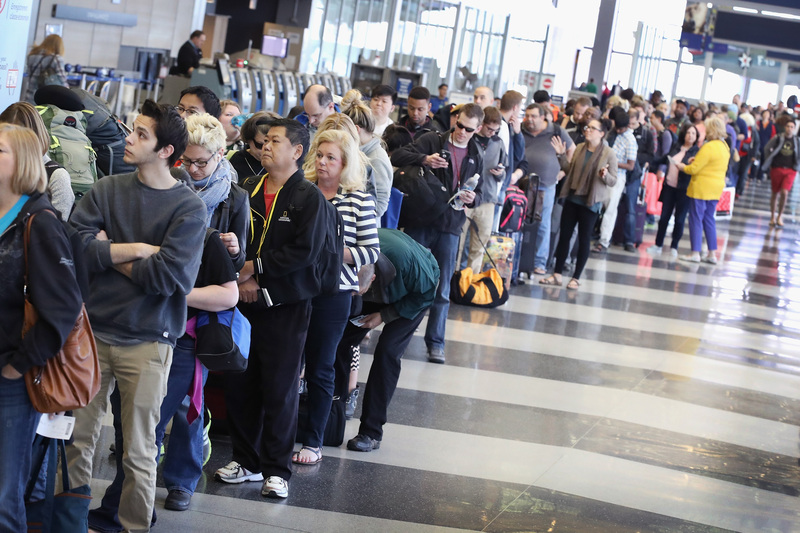 The Transportation Security Administration, part of Homeland Security, also declined to comment. Brian Jenkins, an aviation-security expert at the Rand Corp., said the nature of the security measure suggested that it was driven by intelligence of a possible attack. He added that there could be concern about inadequate passenger screening or even conspiracies involving insiders -- airport or airline employees -- in some countries. However, there are also advantages to screening items in checked baggage instead of as carry-on luggage. Most major airports in the United States have a computer tomography or CT scanner for checked baggage, which creates a detailed picture of a bag’s contents. They can warn an operator of potentially dangerous material, and may provide better security than the X-ray machines used to screen passengers and their carry-on bags.